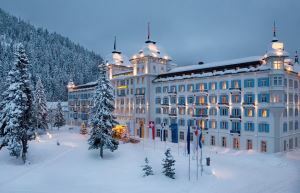 St. Moritz is one of the best-known and most prestigious ski resorts in the world, especially since having hosted the Olympic Winter Games in 1928 and in 1948. Today the name ‘St. Moritz’ stands for a ‘chic, vibrant and elegant’ town, second home to the rich and famous, enjoying a special atmosphere and a dry, tingling champagne climate! 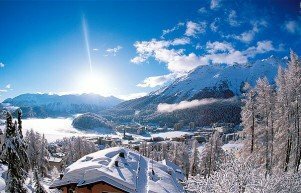 St. Moritz lies on a sunny terrace in the heart of the Engadin Valley in Graubunden and is influenced by three cultures: those of the German-speaking majority of its residents, the Romanish-speaking population of the Engadine and the nearby Italians.